Who is Dharam Seva Records? Dharam Seva Records is operated by group of volunteers. None of the the team take a salary or any form of payment for the work involved to run the label. That includes running of the Charity on a day to day basis and also handling Co-Ordinating and delivering all music projects and events. The Volunteers exist Primarily in UK based all over UK, Then we have key Sevadaars operating in Canada, USA, Australia, New Zealand, Norway, Denmark, Sweden and of course India. What Is Dharam Seva Records? Dharam Seva Records is a registered Charity in UK. We make music which is based on good morals and to help inspire younger generations back towards the history and beliefs of Sikhs. Dharam Seva Records is also involved in working on community projects in the UK. It is a form of modern day Parchaar trying to bring Gurus messages to places where perhaps your traditional parchaar (communication) is today failing i.e Gurdwaras (Sikh Temples) etc. Why Is Dharam Seva Records Operating? Most of the sevadaars at Dharam Seva Records lived very different life’s 5 or 6 years ago. They are born and raised in the UK and had no understanding of Sikhi until they felt an internal change which led to the external change of taking Amrit and dedicating their life path to the teachings of Guru Nanak Dev Ji. Due to their experiences the sevadaars recognised a need to take the message of our Great Gurus out to youngsters who today are not engaged. All work done now is driven by a passion and duty that if we do not do something for tomorrows children to Preserve The Past and Inspire The Future who will? The sevadaars feel that they must do as much as possible to try to get Dharmik based music on screens across the media to help send out messages of Sikhi in places where the people will be triggered to ultimately turn to Gurus Shabad for guidance. The other key factor in Dharam Seva Records operating is due to key links in the Punjabi music industry Pre-Taking Amrit. The team have key links with big musical personalities and felt why let those go to waste, use these links to do something which will help drive the message of Guru Nanak Dev Ji. Why do you charge for music if your a charity? Dharam Seva Records sells music on all digital platforms and also hardcopy CD’s at Sikh events. Every penny that comes in from these sales is used to operate the charity. There are 2 key reasons to why we have a charge on the music. The first is that ITunes does not allow for free music to be downloaded. Secondly when something is offered as free it loses the feeling of value. For example when you see a free newspaper as opposed to one being sold the free newspaper will often be seen littered on the floor and mis-used. Our work has high value and we wish to retain that value. When somebody has paid for something they tend to value it more. Besides the recovery from selling music is minimal. Our music is Dharmik so the recovery is even lower that your average commercial projects. Selling music is simply a small cog which helps generate a small income for the charity which enables more and more projects to continue being funded. Again nobody at the label gets paid for this work. The hours spent in the operation are all voluntary. You could be doing this all just to make money or fame? As per our previous question none of us do this to make money nobody working at Dharam Seva Records gets paid. If we wanted to do this for fame we would release our sevadaars (volanteers) as full blown artists but we dont. How come Diljit Dosanjh / Harbhajan Mann / Jazzy B etc are doing great work with Dharam Seva Records and releasing Dharmik tracks but then also go out and make adverts for Political figures known to have adverse effects on Sikh sentiments? We work very hard to secure the projects with artists who have the biggest followings. The artists with this biggest followings are clearly seen as big weapons by political parties to capitalise on for whatever their motives are. 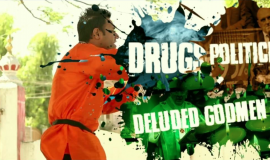 We also see the biggest artists as the best weapons to deliver the message of Dharam. The difference is the political parties use the artists for whatever their agenda is and we use them to help advance the message of Guru Nanak Dev Ji. For example When Guru Gobind Singh Ji’s Khalsa went into battle the Khalsa had kirpans and the Mughals had kirpans. 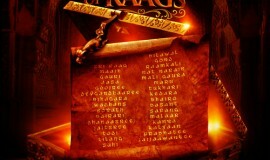 The mughals used the kirpans for their motives. 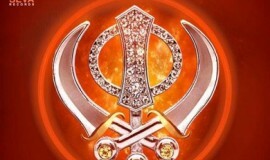 The Khalsa used them for the betterment of Dharam. At no point did Guru Gobind Singh Ji order the Khalsa not to use the Kirpans because the Mughals also were using Kirpans. A weapon is used for its power, however the motive of the user is what matters. This is our personal view on this issue as we need to work with the biggest artists to gain maximum exposure. On an individual basis every human has the right to praise God and we feel that is something artists are entitled to. Some artists encourage the caste system in alot of their songs and yet they are promoting Sikhi and displaying our Gurus teaching through dharmik songs and yet they are still singing about castes, why is this? Dharam Seva Records 100% is against the promotion of caste and will never ever push a song or project which promotes caste. Perhaps other labels feel these caste songs generate income? Perhaps its down to not having had the exposure to Gurus Shabad? Dharam Seva Records can only speak on behalf of our Charity and we believe all humans are equal and that is the only message we will push. Dancing with girls in videos is the easiest way to sell the video, but yet one video you see an artist’s dancing with a girl idolising her to be an object and the other video in a kurtha pyjama singing dharmik, where’s the sense in this? The way of the modern day world is that this is the kind of thing that the masses watch. With little knowledge about what our Gurus Shabad is saying to us the world drowns in maya fuelled lifestyles and entertainment. The phrase “Sharda” comes to play and again every artist is still an individual and will have their own “Sharda” and respect towards their respected beliefs so they prefer to dress traditional in most Dharmik videos. Again what happens in the majority or other projects on other labels and projects, which we are not involved in is not in our control. 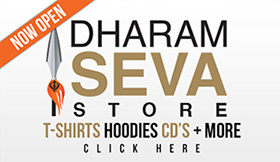 How can i become part of Dharam Seva Records? How do you choose your work? We have a panel of 5 members who all work is passed through. If the work is passed it is then sanctioned. I want to donate to your Charity how can i pay you and is this fully governed by the UK Charity Commision? We are fully goverened by the UK Charity Commision and you can donate to us via Just Giving or Virgin Money. Please reference any payment with your company name and drop us a email and we will send you out a receipt for your paperwork.